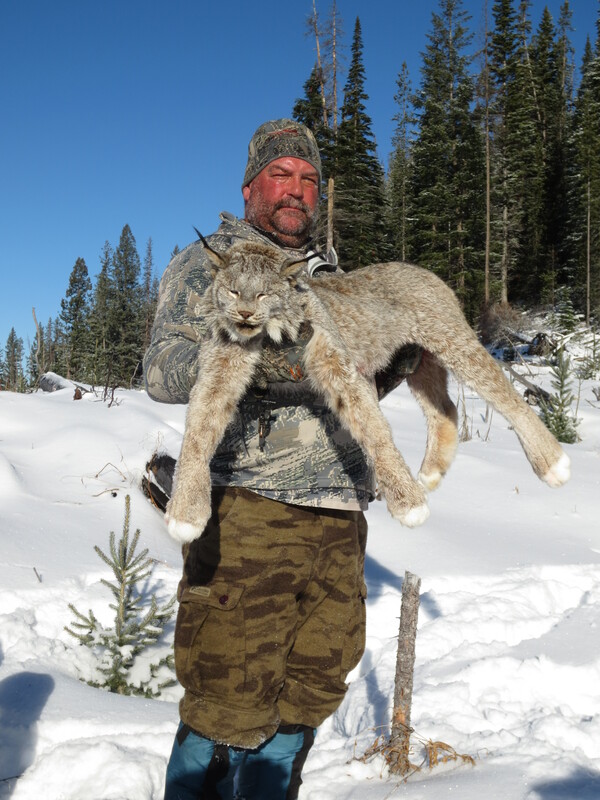 We at Ashnola Guide Outfitters specialize in Lynx hunting. We also hunt cougar and bobcat which you can combine with your Lynx hunt. The Lynx hunts are 7 day hunts and can take one day or all seven. Lynx are plentiful in our area and we can usually find a track fresh enough to chase every day. The Lynx are sometimes very difficult to tree, depending on snow conditions and the terrain where the dogs are running. Our success rate is getting better each year. Good dogs, proper snow conditions and an extreme amount of Lynx hunting knowledge are required. We are now up to 90% success on these hunts. Accommodations are at our private guest cabin which has complete kitchen and bathroom facilities. Four wheel drive trucks and snowmobiles are used for transportation when looking for a fresh track. When a fresh track is found, specially trained hunting dogs are used to track and tree the Lynx. Once the Lynx is treed, we then walk to the tree. It may be a short walk of 15 minutes or a hike of a few hours. We try to get as close as possible to the tree using the truck and snowmobiles. 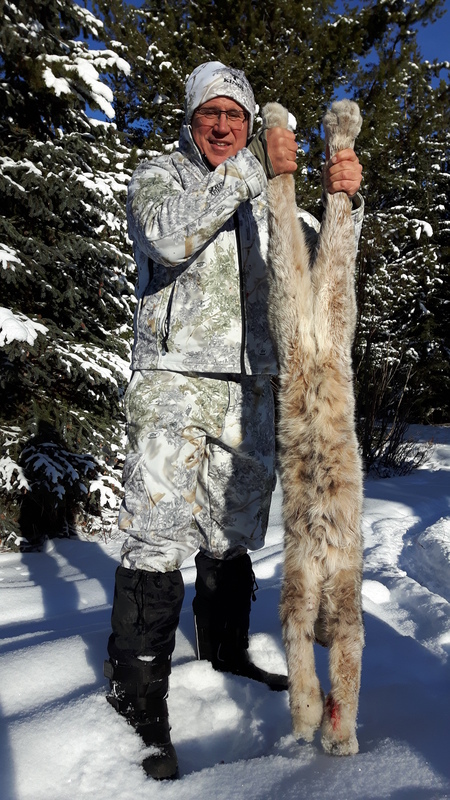 The caliber of rifle recommended fork Lynx is a 22, but any small caliber will do as long as it won’t tear up the hide. The best time to hunt Lynx is from November 15th to January 10th. After that time, the snow is usually too deep. We cape and salt the hide and purchase all permits necessary for you to import your trophy Lynx back home. If you have any additional questions, please contact me at (250)-292-8779.